This property offers very good potential for economic or home business use in a separate Vermont-style building with heat, electrical service and 1/2 bath. The homestead includes a guest apartment periodically rented and additional 'possibility' spaces for income and creative uses. As well as- optic cable access expanding the possibilities to include IT endeavors and other enterprises requiring the ultimate in high-speed internet connectivity. 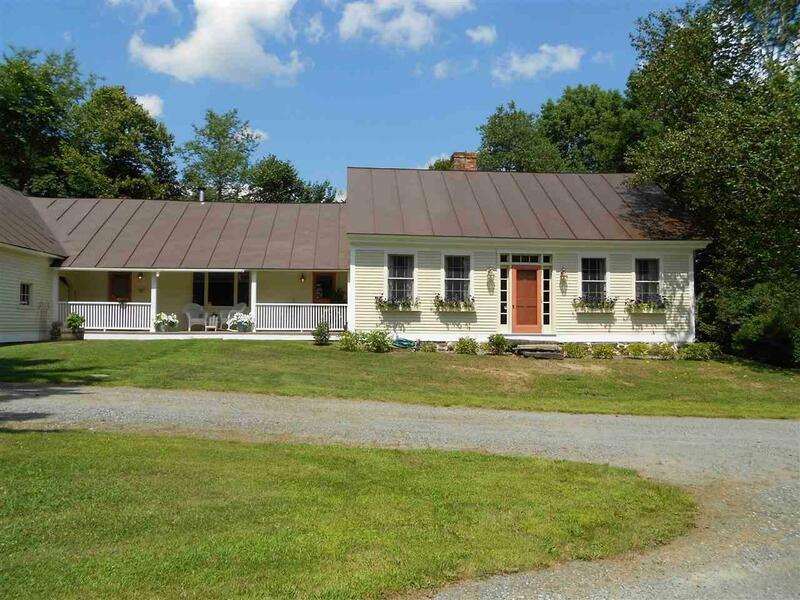 This Civil War farmstead is located on the southerly side of South Woodstock across from the Green Mt. Horse Association and with access to miles of horse riding trails. A handsome timber frame is revealed with 9' ceilings above the spacious living-dining room. 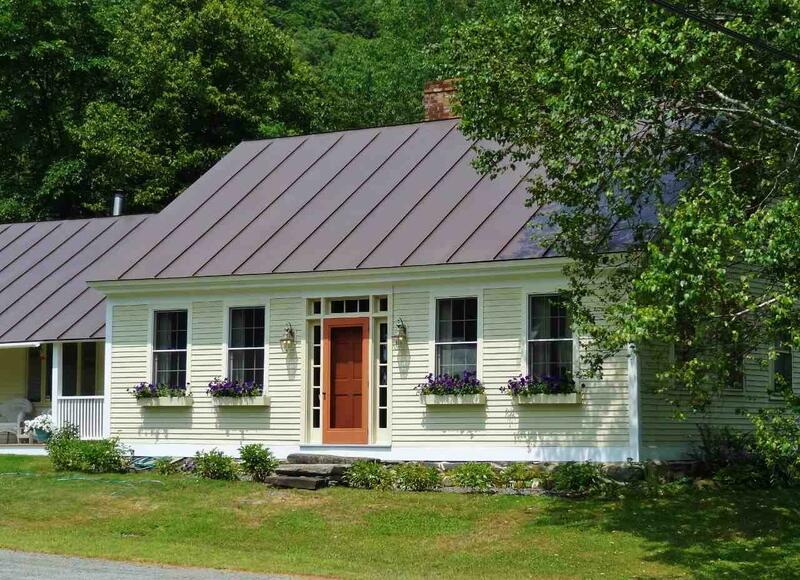 The country kitchen is an ideal place for friends and family to gather and enjoy a morning meal. The combination family room and library opens onto a broad patio, gardens and playground. 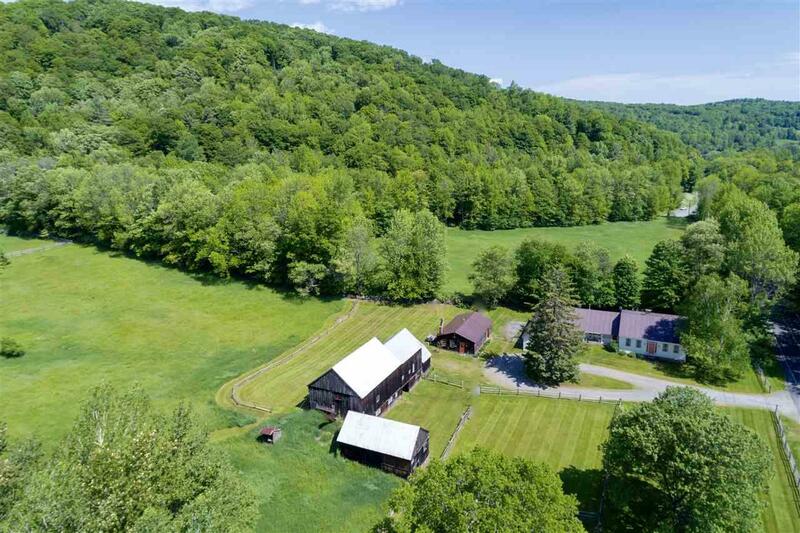 The historic horse barn with paddocks is 'right sized' for recreational horse activity. 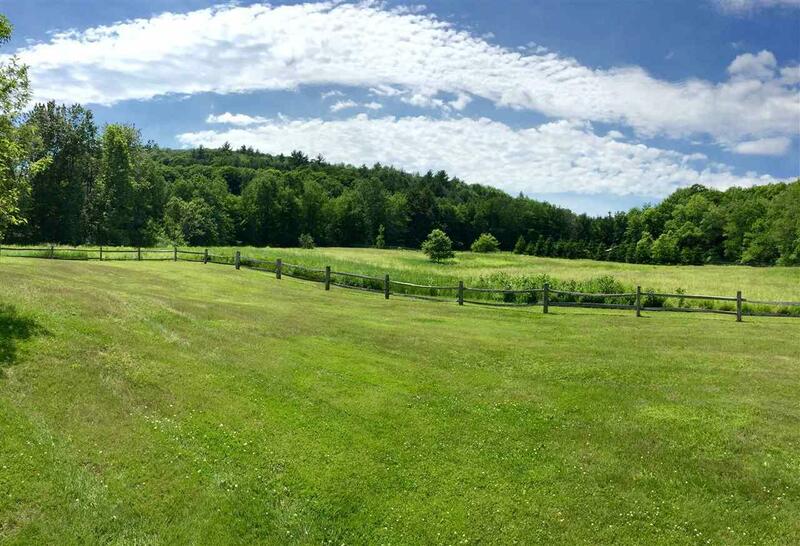 Verdant, level fields and forested land enrolled in Current Use invite traditional Vermont pursuits. Courtesy of Danny Kogut of Williamson Group Sothebys Intl. Realty.